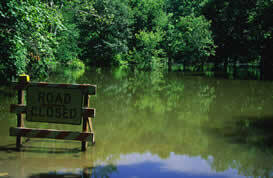 What is flood risk management ? Recovery and lessons learned: returning to normal conditions as soon as possible and mitigating both the social and economic impacts on the affected population. Source : COM(2004) 472 final of 12.7.2004. Flood risk management is an integral part of integrated river basin management, and the Floods Directive shall therefore be coordinated with the Water Framework Directive. Civil protection is also a crucial component of flood risk management.